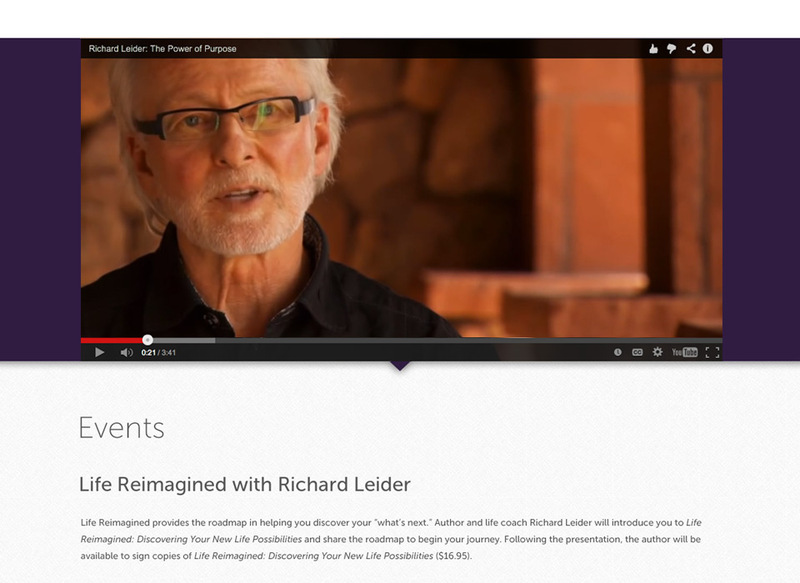 Edina Reimagined is a community social movement that is affiliated with Richard Leider and AARP. 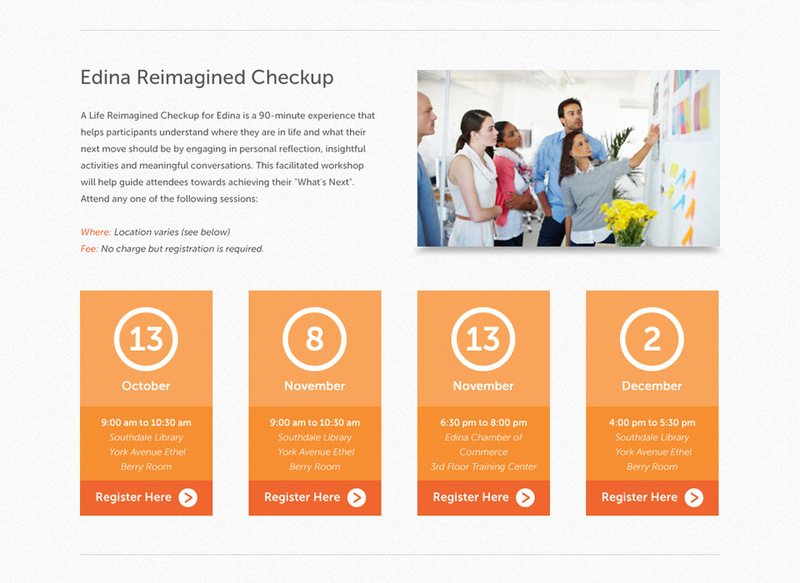 The organization helps individuals answer the question, “What’s Next?” as they look at their career, relationships, wellness and finances and begin a new phase in their lives. 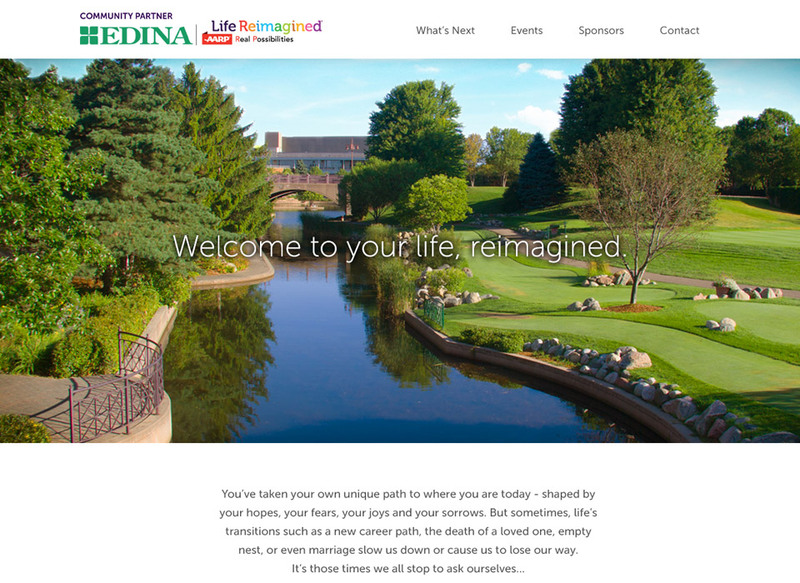 Edina Reimagined needed a website that would help launch the company and inform the community of upcoming events. 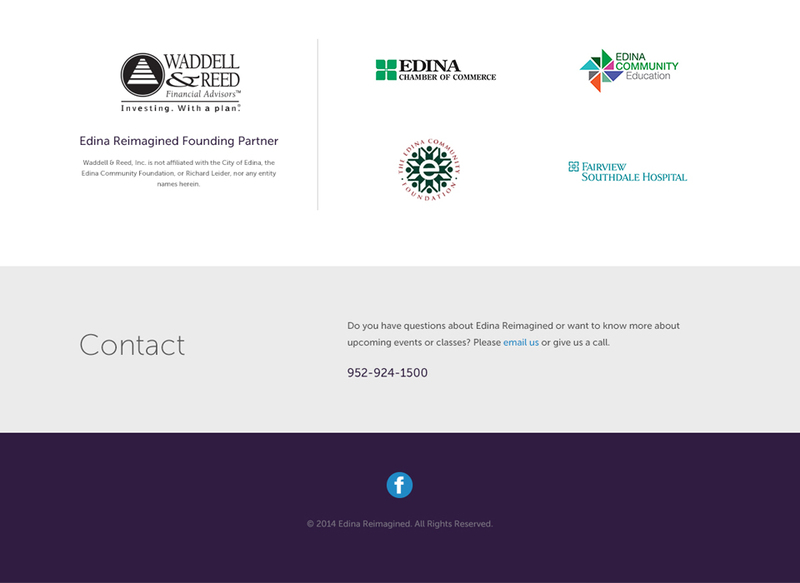 The website provides a brief overview of the company’s mission and gives participants the ability to easily register for events online. 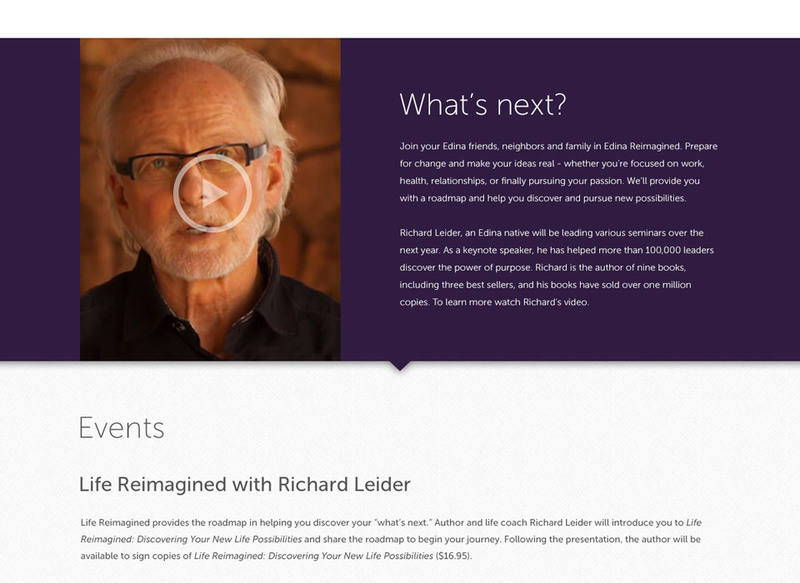 The site is fully responsive and works across all devices. 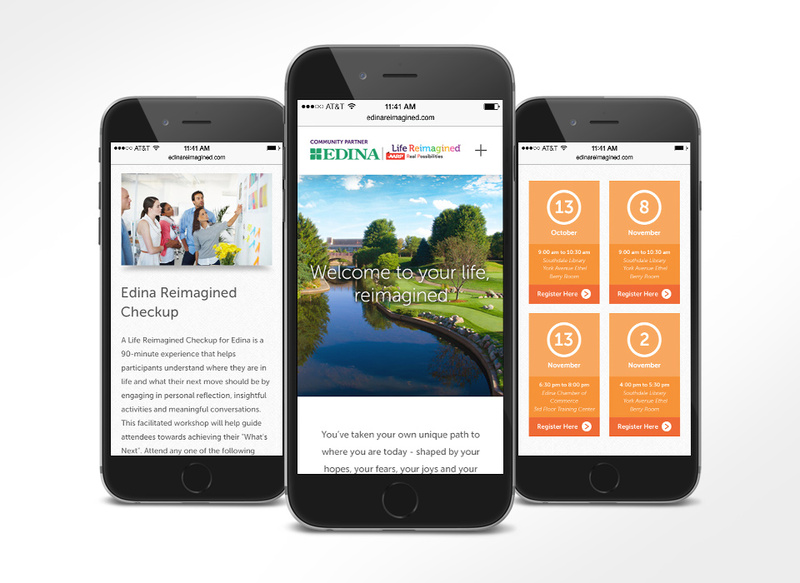 The site is built on WordPress content management system (CMS) which enables the client to easily create various banner ads to promote the benefits of the firm and other areas of the site.